Square Enix has released a new trailer for KINGDOM HEARTS HD 2.5 ReMIX from the recent Jump Fest event that took place in Japan. The remastered HD compilation includes KINGDOM HEARTS II FINAL MIX, KINGDOM HEARTS Birth by Sleep FINAL MIX, and cut-scenes from KINGDOM HEARTS Re:coded and will be out sometime in 2014 for Playstation 3. Check out the trailer below. SQUARE ENIX today released a new trailer for KINGDOM HEARTS HD 2.5 ReMIX from the recent Jump Festa event that took place in Japan. Picking up from where KINGDOM HEARTS HD 1.5 ReMIX ends, the trailer features fan-favorite characters like Sora, Roxas, Riku and Naminé alongside the Disney cast including Princess Aurora (Sleeping Beauty), Hercules, King Mickey, Captain Jack Sparrow (Pirates of the Caribbean) and others – now in stunning high-definition graphics. The trailer can be viewed on YouTube. 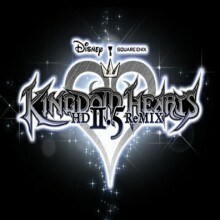 Planned for a 2014 release, KINGDOM HEARTS HD 2.5 ReMIX is a fully remastered HD compilation of the PlayStation ®2 computer entertainment system title KINGDOM HEARTS II FINAL MIX and the PSP® (PlayStation®Portable) system title KINGDOM HEARTS Birth by Sleep FINAL MIX. Both, previously exclusive to the Japanese market, will be available for the first time in the Americas for the PlayStation®3 computer entertainment system. Theatrical cut-scenes from the Nintendo DS™ title KINGDOM HEARTS Re:coded will also be included in the compilation.